While at the Spectrum press event I was kindly given a set of Fresh F.A.C.E brushes to try out. I’ve followed Spectrum brushes for a long time and knowing they are a Welsh company does make me pay more attention to who they are. They are a cult favourite for brushes due to their bold colourful look and professional finish. 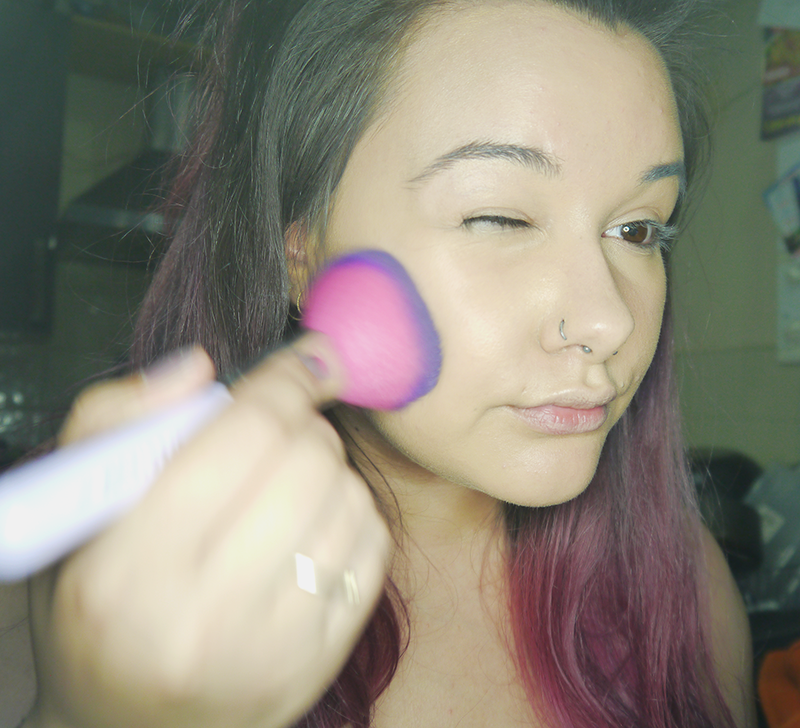 I’ve been fairly impressed with how much these four brushes can change your look up! Brushes are vegan and cruelty free. While at the press event they stressed that using cruelty free products along with their brushes was a huge priority for them. Read on to see how I created a full face with the 4 brushes in this set. A cute lilac pleather bag. A03 for cream and liquid products , such as primers, bases, foundations, concealers, moisturisers, liquid blushes. A01 for all over powder, getting rid of excess powder, blush, topping up throughout the day. A05 for contour, blush, highlighter, baking. 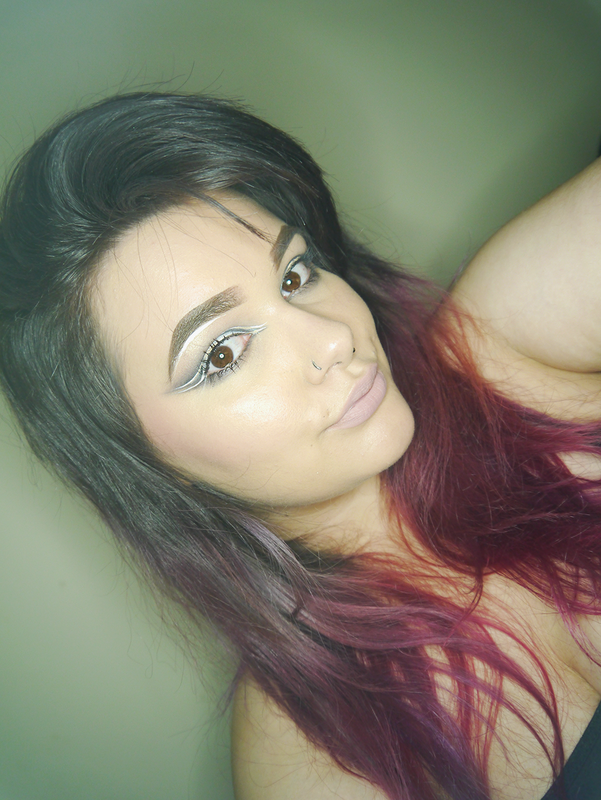 A17 for brows and fleeky liner. All brushes are full sized but have a smaller handle for convenience for traveling. 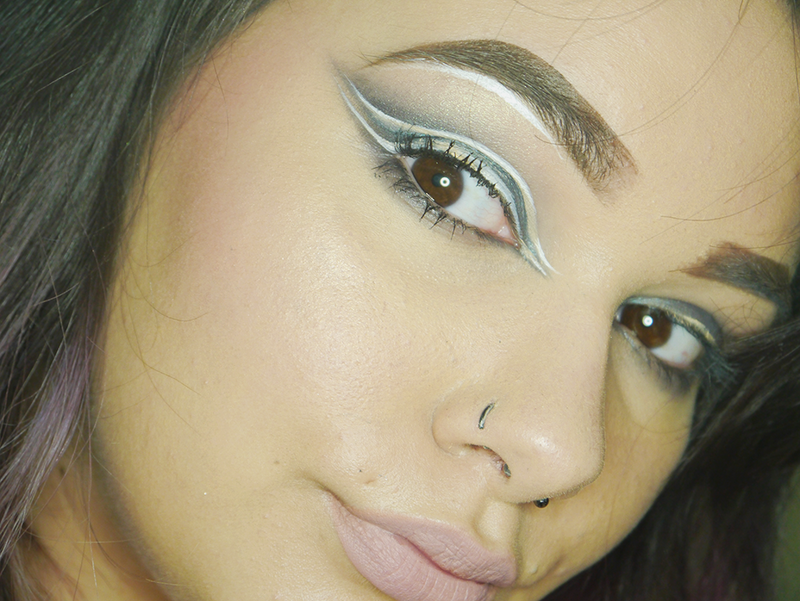 I decided to do a cruelty free look to go with the brushes to show how versatile these four brushes are. 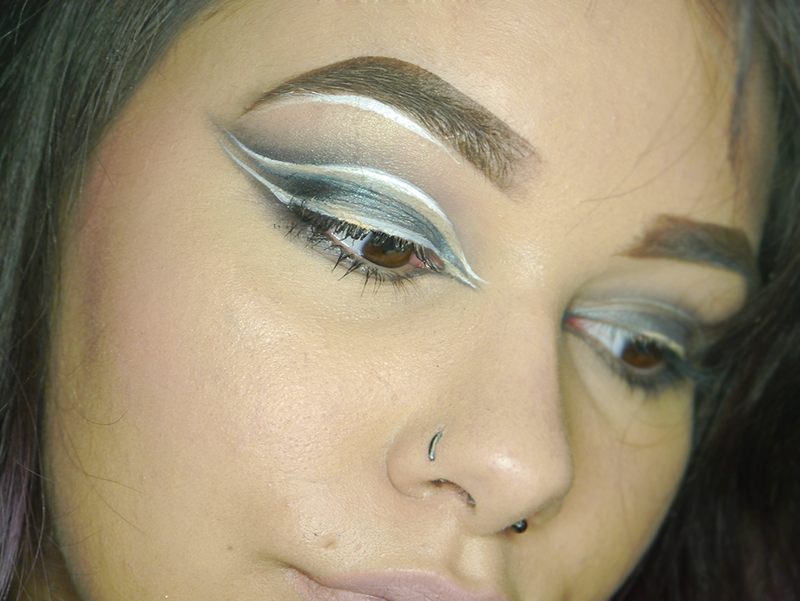 I only used one other brush, which was the Smashbox Tapered Blending Brush for applying the shadow. For cleaning they wash really well with absolutely no shedding, which I was really surprised at because I usually get one or two stray hairs but these stayed put. Drying time is the same as any brush! 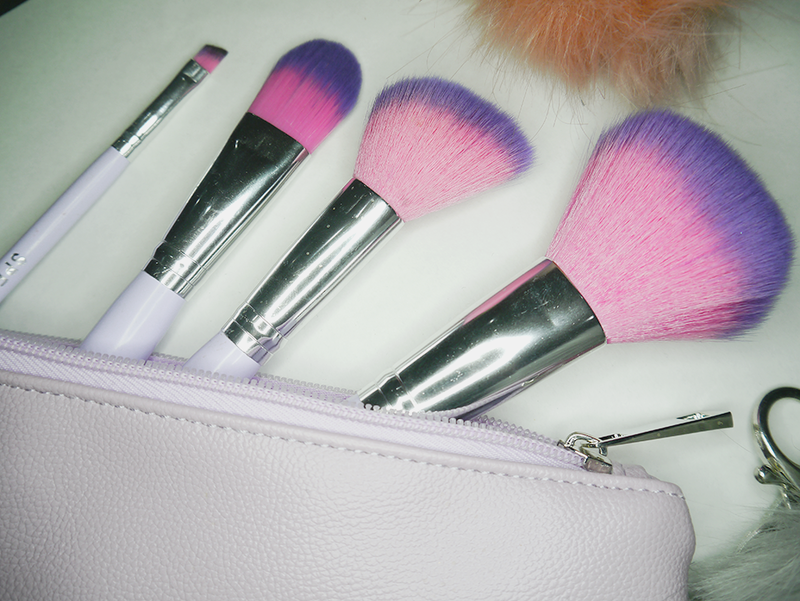 This set is perfect for people who want to minimise their brushes for travelling. The angled brush, A17, is perfection especially for smaller detailed work, I was surprised at how slim I could make it! For the prices these brushes are, even the larger sets they work out incredibly cheap for the quality. If you’re unsure definitely start off with a smaller set such as this, it’s really versatile and does whatever you need it to do! My only complaint would be the foundation brush was a little too dense for me leaving my foundation quite streaky, but this could be due to the foundation being quite thick, the firmness of the brush, and the fact I literally hate standard foundation brushes in general, so it’s nothing personal. I just quickly buffed out the streaks with the A01 and it buffed perfectly into my skin. The A01 and A05 are soft and don’t drag on the skin, apply powder without much fallout and brush away what you need to bend into place. My favourites from this set are definately the A01 and A17. 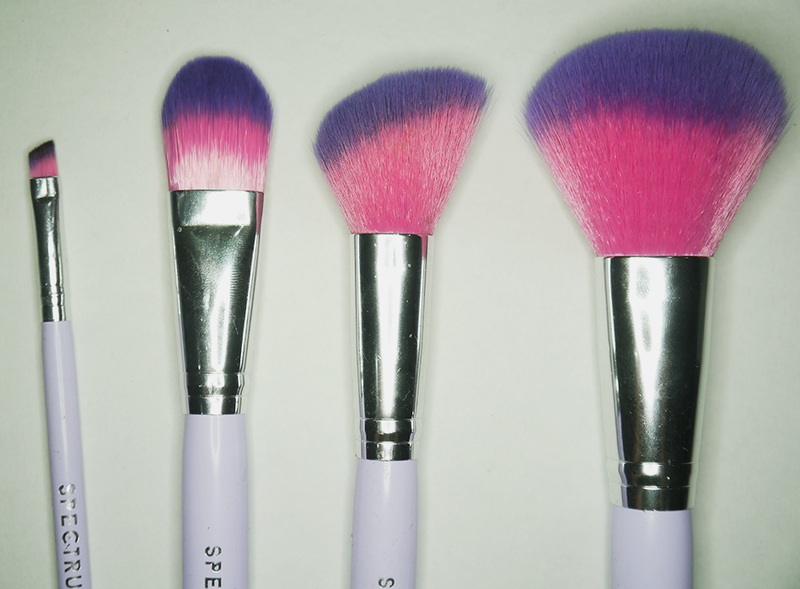 I have slotted these into my favourite brushes and sit in my pot for every day use! The F.A.C.E set is currently sold out, but you can sign up to alerts here . 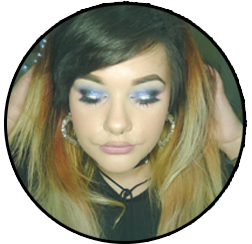 Posted on July 20, 2017 July 20, 2017 by sindyydollPosted in SpectrumTagged Beauty, beauty blog, beauty review, british beauty blog, british beauty blogger, brushes, cardiff beauty blogger, Cardiff blogger, cardiff makeup artist, cardiff mua, ma, Make up, make up artist, makeup, makeup artist, mua, Spectrum, spectrum brush review, spectrum brush set, spectrum brushes, spectrum brushes review, spectrum face brushes, welsh brand.